I decided to cover both the iOS and Android apps for viewing comic books below. Of course, the full screen of the iPad is the best comic book viewing platform currently, since Android tablets are on the horizon, but not yet released, the full screen lends itself to better reading, but it’s worth noting that there are the applications that work on handheld devices like cellphones. The iPad/iPhone/iPod Touch links will link to the iTunes store to download and the Droid links will take you to androlib, where you can scan the QR codes to bring you to the Android Marketplace to download the app. AVE!Comics – AVE!Comics is an international comic store for the Droid, for classic and international comics. The large selection can be seen on their website. Bone – Although each issue is a separate app, the Bone series by Jeff Smith is an excellent read for all ages. Linked here is the first issue. Boom! Comics – Like the big boys, Boom uses a version of Comixology’s Comics app to deliver only their comic books to your iPhone and iPad, like Mark Waid’s Irredeemable. CloudReaders – A free CBR, CBZ, ZIP, PDF, and RAR reader that allows you to read any comics you upload to your iPad thru iTunes or Wifi. A personal favorite iPad app. Comic Zeal – This CBR reader allows you to upload your own comic books to the iPad then read them with proper zooming and additional reading support. This app costs $8. Comics – Comixology’s Comics app is the most diverse of the comic book apps, hosting selections from Marvel, DC and assorted indie publishers with new comics every Thursday. DC Comics – Released earlier this week and built on the Comixology Comics app engine, it’s a skinned version of the app hosting only comic books published by DC, allowing you to read the adventures of Superman, Batman and Green Lantern on your iPhone or iPad. Graphic.ly – Syncing with their desktop reader and store, the Graphic.ly app allows you to read their catalog on your iPhone. IDW Comics – The publishing home of G.I. Joe, Transformers, and other assorted licensed comic books brings their comic books to your iPhone and iPad. iMangaX – An app to read a manga website optimized for the iPhone and iPad. A crippled free version exists as well. iVerse Comics – Another comics library app that allows you to purchase comics from major publishers within the app and read them on your iPhone or iPad. 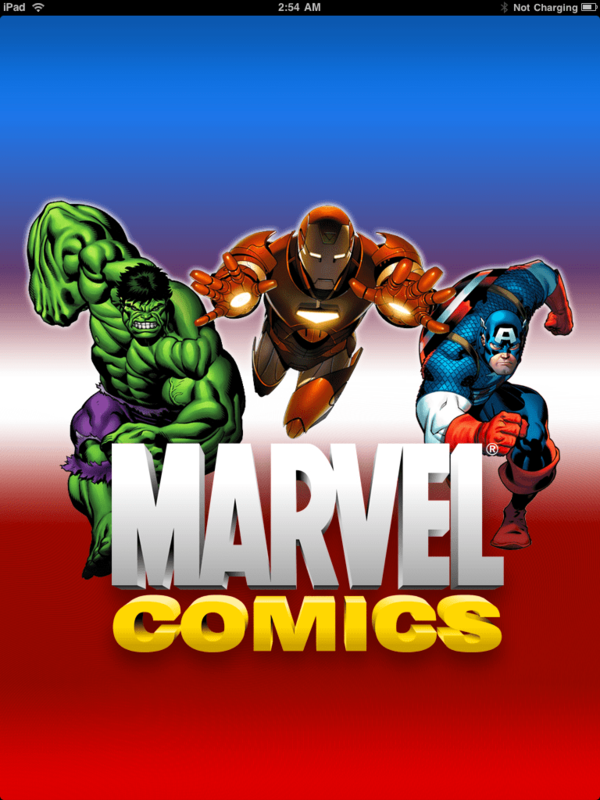 Marvel Comics – Like the DC Comics app, the Marvel app is built on Comixology’s Comics app, but skinned and only containing comic books published Marvel, so you can read X-Men, Captain America and Spider-man on the go. Scott Pilgrim’s Precious Little App – I am a huge fan of the Scott Pilgrim series and had to include it in this list, even though the app is “available worldwide, except the USA, Canada and Philipines.” More info about the app can be found on the app’s website. 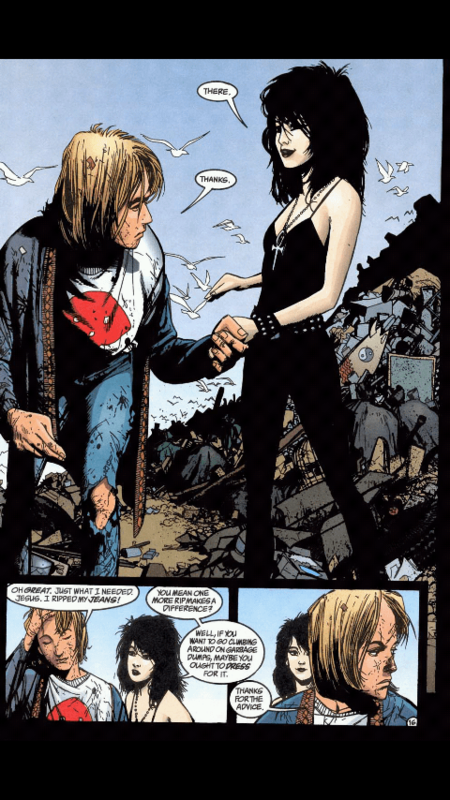 Stanza – This ebook reader added CBR support in their most recent update, allowing you to read comics in addition to books. From what I can tell, this is the only CBR reader for the iPhone and iPod Touch, which you can upload to your iPhone or iTouch with iOS 4.0. AVE!Comics – Like the iPhone/iPad version, AVE!Comics is an international comic store for the Droid, for classic and international comics. Comics – Read Dilbert, Garfield and your other comics strips, as well as online comics like Ctrl+Alt+Del, kxcd, Megatokyo and Penny Arcade. Droid Comic Viewer – Droid Comic Viewer – aka ACV – is a CBR/CBZ reader for the Droid. It is actually very readable with the ability to zoom in on panels. Manga Droid – Download and view manga from a library within this app. Both the app and the manga within are free. Manga Viewer – View the manga at onemanga.com thru this app for your Droid. Mangastream – An app to read the scanlations from Mangastream.com by their fan translators of Japanese manga. There is obviously a disparity between the Android and iOS platforms. The larger companies have embraced the larger iTunes store and its higher security, where as the homebrew communities have embraced the Droid to promote their ways of reading comics and manga thru slightly more nefarious means. Strangely, the larger manga companies, like Viz and Tokyopop, have embraced neither platform and continue to only release their paper editions. If there are other comic book or manga apps that I missed in the list above (besides individual issue apps, which I mostly avoided), please let me know below and share other related apps you like.